Plot Summary: Sana Kurata is a famous child-actress and the star of the hit T.V. show "Child's Toy." 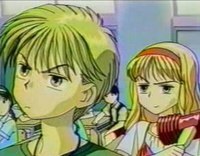 When Sana learns her rival/friend Akito Hayama is having trouble with his family, she takes it upon herself to "fix" the Hayama's.